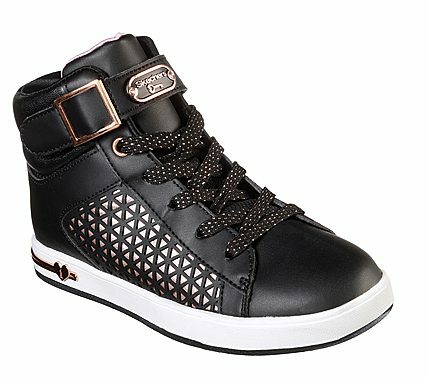 Detail-loving little ladies will be raving about the SKECHERS Shoutouts - Edgy Glam shoe. Smooth faux leather upper in a lace up casual high top sneaker with stitching and overlay accents. Laser cutout, stitching and overlay detail.